Developing my meditations on the theme of displacement, art history, and my reluctant obsession with the metaphors inherent in objects. 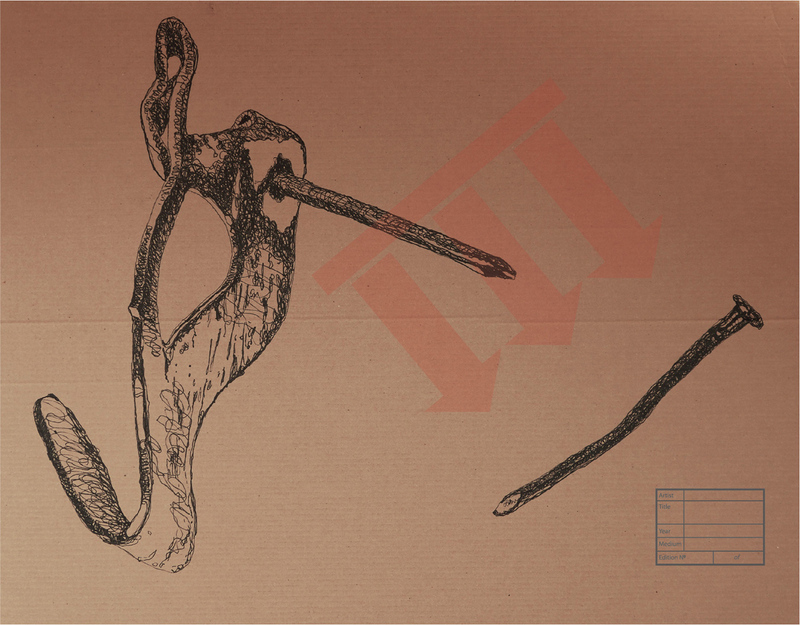 Initial drawings with Sharpie pens on discarded packing material are photographed and then combined with other elements in Photoshop and Illustrator. Several years ago I had a conversation with artist, humanist and human-rights activist Bill Kelly about print-making. He considered print-making a way of making art that is affordable… a way of democratising art. That always stuck with me as a Good Thing and I’ve been experimenting with different ways to do this ever since: painting smaller paintings, screen-printing, stencilling and so on. These new works are another step along that road. I don’t often feel digital work is “made with love”. Including hand-draw elements and “real world” materials may make that difference. In the future I’ll look at how I might bring landscape works into this medium. Nice work Lars. I look forward to your landscapes in this medium. I’m interested in digital art myself but know nothing about it at present.